From the moment you drive through the entrance at Ivory's Rock, it's obvious that this is a very special and unique place. As you top the rise there is the venue's namesake – Ivory's Rock. Towering over the property, it is a significant landmark at the gateway to South East Queensland's Scenic Rim region. Nestled in the valley below is the fantastic facility that is the Ivory's Rock Conventions and Events Complex. Driving further into the site, past flowering Bauhinia, the citrus grove and towering native gum trees the first vista you see is the delightful ornamental lake. It all has the feel of well-kept parklands. On its edge rests the Pavilion, an outdoor area with a large domed roof, circled by 29 shops, pathways and shade sails. Ivory's Rock offers a further exciting venue deep into the property. 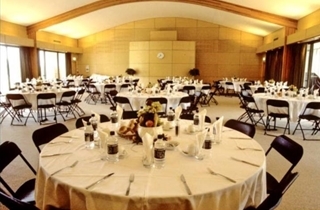 The Casuarina Restaurant and Function Centre, offers a unique conference facility that can hold upwards of 120 people, providing excellent catering facilities capable of producing high quality menus. Add to this a modern, well stocked bar and comfortable lounge areas. 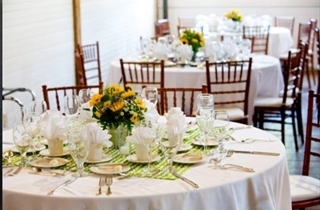 It presents as an excellent venue for Weddings and Receptions. The Restaurant and Function centre provide the opportunity to operate seminars and conferences in full, with break out rooms, catering and purpose built rooms. It is fully appointed with modern fittings and air conditioned for your comfort. Ivory's Rock abounds in wildlife with over 164 separate species of birds, animals and reptiles identified as resident on the property. As you drive around wallabies and birdlife abound. There are a number of accommodation options available. Well-equipped Campgrounds surround the venue. These have fully appointed shower blocks, toilets and laundry facilities. Ivory's Rock can provide tent accommodation Safari-style for up to 3000 people camping. Facilities for Motorhomes and Caravans are also available. Located in a secluded bush village environment there are twelve cabins, four units with en-suite bathrooms and the self-contained Lodge with the option of single or double occupancy suitable for weekend or short stays. The Jacaranda campground provides a large cafe/meeting room facility and quiet, tranquil location. The venue is located in shady bushland surrounded by manicured gardens. There is a delightful entrance and reception area serviced by a fully equipped bar and club lounge where guests can be welcomed and socialise prior to their event. 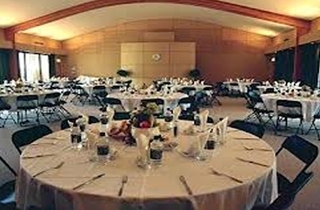 The venue has five separate dining rooms. Three of these can be opened and combined as one room . The Casuarina Function Centre and Restaurant has a fully operational commercial kitchen suitable for providing elegant high quality dining for your guests, an outstanding and unforgettable dining experience. With wide verandas, alfresco dining is another option available to offer your guests. The Casuarina Function Centre and Restaurant at Ivory’s Rock is unique. It offers simply the best possible dining experience and catering in a most unique bush setting. 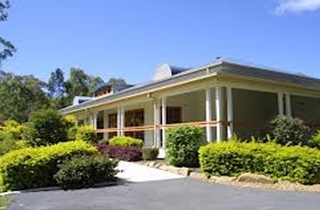 Located adjacent to bushland in a parklike setting, the Conference Centre is superbly appointed. It offers the facilities of a modern five star hotel CBD conference centre located in a tranquil and beautiful setting. Able to be transformed into your dream wedding reception venue catering for up to 360 guests. The fully covered verandas opening onto manicured lawn and garden areas provide a beautiful setting for pre-dinner drinks. Full length windows providing natural light and views to your private bush setting.